HCL Walkin Drive | International Voice Process Jobs | 31st July 2017. HCL is going to conduct latest Walkins in Chennai for Associate, Senior Associate – (NonTechnical) posts. Candidates who had completed graduation are only eligible to attend HCL Careers 2017. In this article, HCL is clearly stated that candidates should have the ability to work in a deadline with peak period workflow. 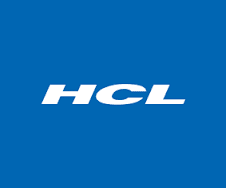 Freshers and experienced candidates are eligible to attend for HCL Recruitment. 2017 Freshers are welcome even if you are waiting for your results. Nowadays competition for IT Jobs is very tough. Applicants have to tighten up their preparation by framing a planner which will be comfortable for them. Following the planner in their own style and along with that MNC Online Test Pattern also ensures and boost up the confidence of the Applicant. So contenders have to start their preparation with the help of HCL Previous Papers and HCL Syllabus which will give you clarity to crack the test. Along with the Syllabus and Previous Papers aspirants can also check HCL Online Mock Test for good result. For other IT Jobs aspirants can browse it on our site for accurate details. Excellent Communication Skills with neutral accent. Strong in Basic computer knowledge. Salary Package: (Depending upon Graduate, Under Graduate, Years of Experience. Job Location: Ambattur 3 HCL, Chennai. Experience: 0 to 2 years only – Both Freshers and Experienced candidates are eligible. Qualification: Any Graduate, Under Graduate – Arrears is not a constraint. 2017 freshers are welcome even if you are waiting for your results. Aspirants who are interested in attending HCL Walkin Drive which will be held in Chennai on 31st July 2017. So candidates can check the official notification to clear doubts regarding HCL Recruitment. Landmark: Near Casino Theatre, Chennai – 2. HCL Walkin Drive 2017 for Software Developer Jobs in Chennai and Bangalore on 11th Jan 2017. HCL Job openings for B.E, B.Tech, ME, M.Tech, MCA Freshers as Software Developer. Candidates must have Excellent programming and logical skills. We update each and every useful stuff such as Qualification, Job Role, Work Location, Salary details, Venue details. Candidates who follow an effective preparation along with the HCL Technologies Placement papers will give definite success. It is not an easy task to clear the HCL Technologies Walkin Drive. Both interested and eligible candidates can see the further details and attend at the below mentioned venue. Salary INR 2,50,000 – 3,00,000 P.A. up to 40% Hike. HCL Training & Staffing Services is a division subsidiary company of HCL Technologies Limited created with a vision to provide assured jobs through a unique training program “Learn to Earn Accelerator Program” or LEAP. Given the ever-increasing demand for quality talent within HCL, there was a significant need to create a niche avenue – a talent pool that would be equipped with the requisite expertise and will be technically and professionally prepared to join the highly specialized workforce at HCL. Thus was conceived the idea of HCL TSS, with the objective of becoming the largest integrated talent solutions company in India preparing a skilled workforce for the future. HCL TSS is further creating employment opportunities in Tier II and Tier III cities by sourcing, training and deploying talent locally by offering world class job opportunities.